By Gary Younge. This article was first published on The Guardian. “It’s about God, sir,” said the guard, referring to the harsh weather of the previous night, and the two men smiled at each other. That night I stayed in Cornwall. The prospect of spending nine hours on a train in one day was too draining. 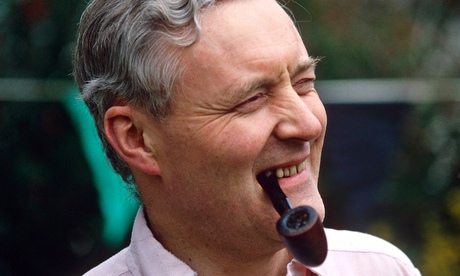 Benn came straight back, arriving in Paddington around 11pm so he could be up at 6am the next day to drive to Burford to address a Levellers rally. Around the time I was ordering my second round of sandwiches from the buffet car on my way back from Cornwall, he was heading back to London from Burford to speak to a pro-Palestinian demonstration, when his car exploded on the motorway. I was 33; he was 77. The two things that stood out, watching him both from afar from an early age and up close over those few weeks, were his optimism and his persistence. He believed that people were inherently decent and that they could work together make the world a better place – and he was prepared to join them in that work wherever they were. This alone made him remarkable in late 20th-century British politics. He believed in something. For some this was enough: they were desperate for some ideological authenticity, for someone for whom politics was rooted not merely in a series of calculations about what was possible in any given moment but in a set of principles guiding what was necessary and desirable. Criticisms that he was divisive ring hollow unless the critics address what the divisions in question were, and how the struggle to address them panned out. Benn stood against Labour’s growing moral vacuity and a political class that was losing touch with the people it purported to represent. The escalating economic inequalities, the increasing privatisation of the National Health Service, the Iraq war and the deregulation of the finance industry that led to the economic crisis – all of which proceeded with cross-party support – leave a question mark over the value of the unity on offer. What some refuse to forgive is not so much his divisiveness as his apostasy. He was a class traitor. He would not defend the privilege into which he was born or protect the establishment of which he was a part. It was precisely because he knew the rules that he would not play the game. With his trademark pipe, mug of tea and cardigans, that could have left him a fossilised figure of a distant ideological era. But, contrary to popular misconceptions, his politics did evolve. He did not grow up in a time when gay rights, defending Muslims against Islamophobia, or even gender equality were central to left discourse. But when they emerged as key issues he had no trouble understanding either their value or their potential. He stood for something more than office and he didn’t pander. That was why he was one of the few people to emerge from an Ali G interview with his dignity intact. The devotion that has poured out for him since his passing is not simply nostalgia. The parents of many of those who embraced him in recent times – the occupiers, student activists, anti-globalisation campaigners – were barely even conscious at the height of his left turn. They are not mourning a relic of the past but an advocate for a future they believe is not only possible but necessary. The trouble for his detractors was that Benn would not go quietly into old age. He didn’t just believe in “anything”: he believed in something very definite – socialism. He advocated for the weak against the strong, the poor against the rich and labour against capital. He believed that we were more effective as human beings when we worked together collectively than when we worked against each other as individuals. Such principles have long been threatened with extinction in British politics. Benn did a great deal to keep them alive. In the face of media onslaught and political marginalisation, that took courage. And, in so doing, he encouraged us.